Awesome D J was an impressive first-out winner at Laurel Park. Photo by Jim McCue, Maryland Jockey Club. Stronach Stables’ Awesome D J overcame some prerace jitters to take a commanding lead into the stretch and register a 4 ¾-length triumph in his career debut Friday at Laurel Park. A chestnut son of multiple Grade 1 winner Awesome Again co-bred by Stronach’s Adena Springs and Mr. and Mrs. Richard Kaster, Awesome D J ($6) ran one mile in 1:36.60 over a fast main track in the $40,000 maiden special weight for 2-year-olds. Trained by Dale Capuano, Awesome D J dropped apprentice Weston Hamilton in the post parade and briefly got loose before being caught and reunited with his rider. Racing inside 16-1 long shot Celtic Pride through a quarter-mile in 24.50 seconds, Awesome D J assumed command through a half in 47.86 and began to gain separation from his rivals, opening up by five lengths straightening for home. Kept to task through the stretch by Hamilton, Awesome D J ran six furlongs in 1:12.48 and was never threatened as 3-5 favorite Candy Store made a late run for second, three-quarters of a length ahead of Itgot Grandma. Celtic Pride finished fourth followed by Stronach Stables homebred Awesome Rally, making his second career start for trainer Jose Corrales, Holly Sun and Air Lift. Live Oak Plantation homebred Win Win Win followed up his maiden victory last month with another impressive performance, approaching a track record in Friday’s co-featured eighth race, a $42,000 entry level optional claiming allowance for 2-year-olds. Ridden by Julian Pimentel for trainer Mike Trombetta, Win Win Win ($4.80) sat off pacesetter Lady’s Weekend for a quarter-mile before taking over the top spot on the far turn and opening up once straightened for home to win by 6 ½ lengths in 1:02.30 for 5 ½ furlongs. The final time was a tenth of a second off the Laurel course record of 1:02.20 set by 6-year-old Siralfredthegreat Oct. 6. 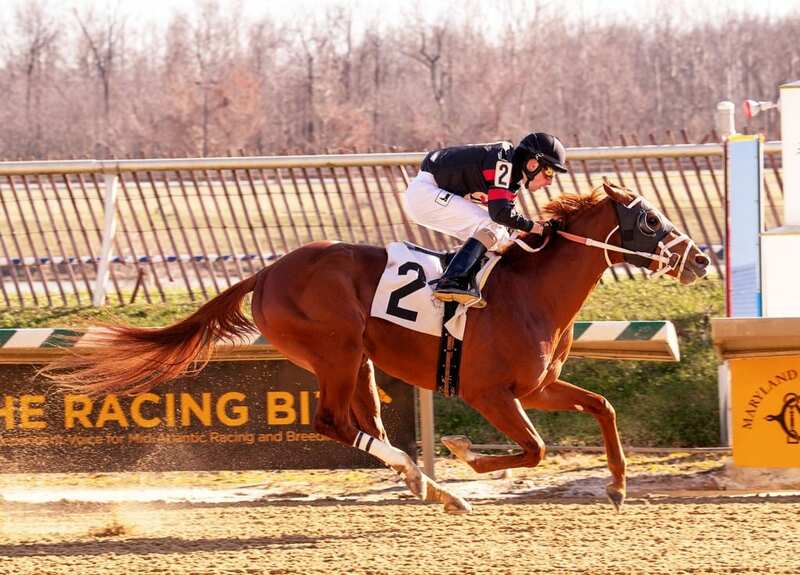 Saturday’s nine-race program features three stakes for Maryland-bred/sired horses – the $100,000 Maryland Juvenile Futurity for 2-year-olds and $100,000 Maryland Juvenile Filly Championship for 2-year-old fillies at seven furlongs, and the $75,000 Howard and Sondra Bender Memorial at six furlongs for 3-year-olds and up. In addition, fans can have breakfast with Santa from 9:30 to noon in the second-floor clubhouse sports bar, get a free 2019 Maryland Jockey Club calendar and have a chance to choose from gifts valued at more than $10,000 including flat-screen TVs, iPads, game systems and more.